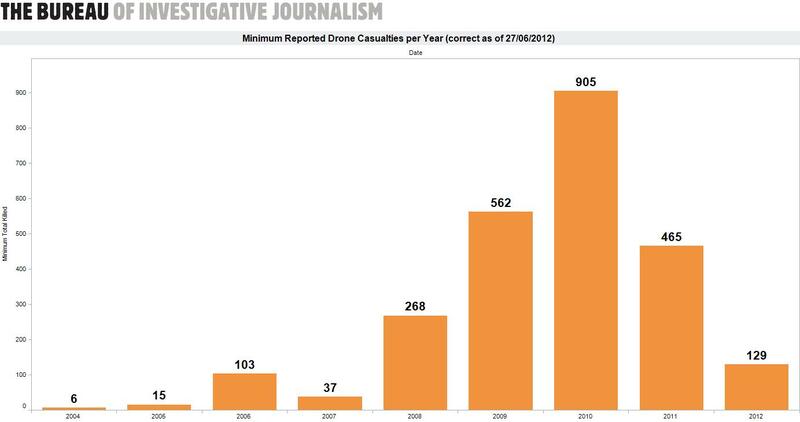 These graphs accurately reflect the Bureau’s data on CIA drone strikes in Pakistan to the most recent strike. 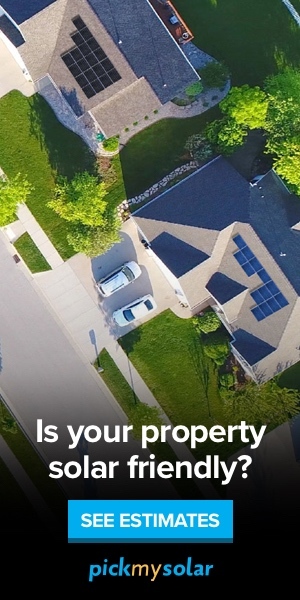 They are designed to illustrate in the simplest possible way key statistical data from our investigation. Click on a graph to enlarge. 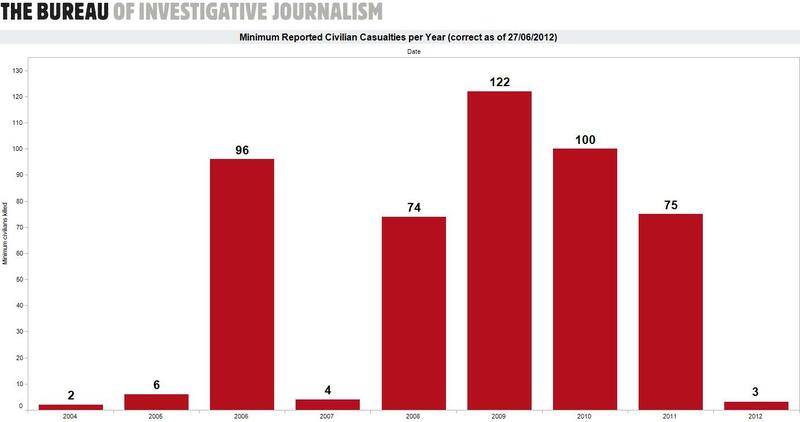 A chart illustrating minimum total casualties, minimum reported civilian casualties and minimum casualties aged under 18. This graph illustrates the minimum reported civilians killed in drone strikes year by year. 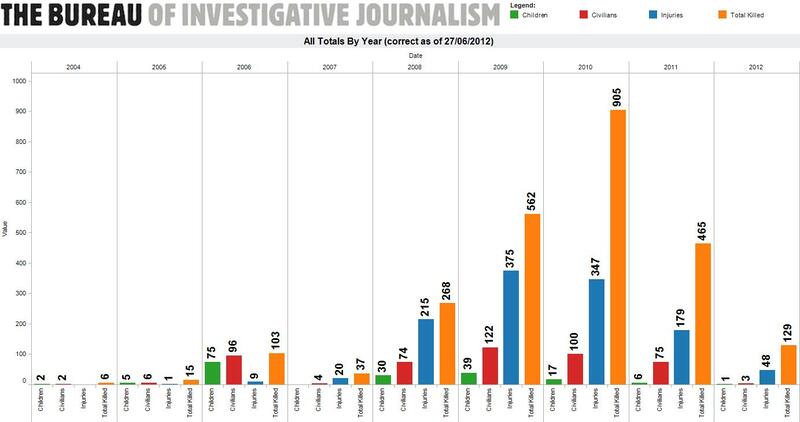 This graph shows the total number of people reportedly killed in CIA drone strikes. 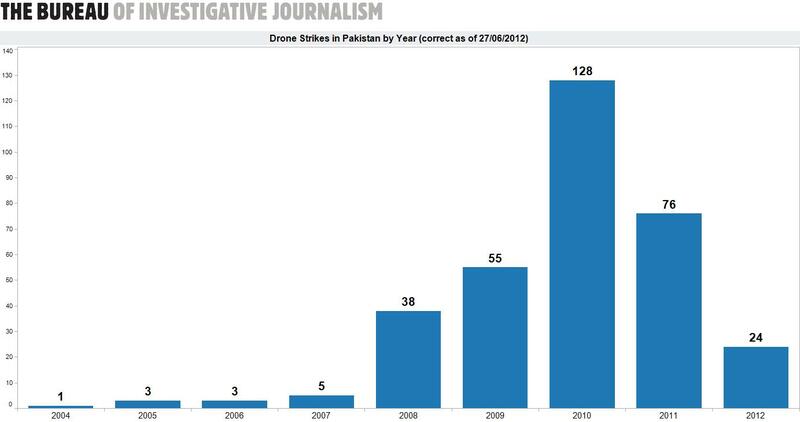 This graph shows the tally of total drone strikes in Pakistan between 2004 – 2012.